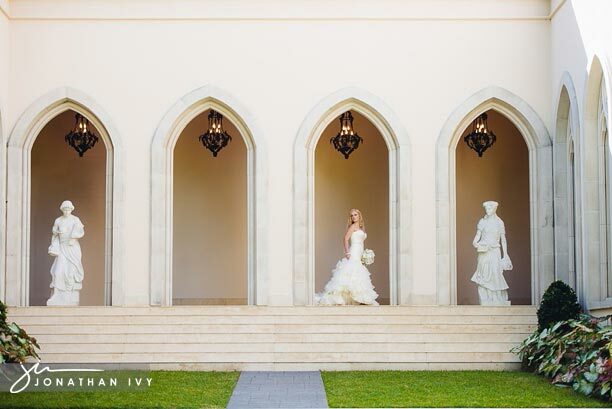 We always jump at the opportunity to shoot at one of our all time favorite bridal locations in Houston Chateau Cocomar. This time was no exception and Meagan really rocked it with her beautiful pup. Meagan chose a gorgeous Maggie Sottero gown from Brickhouse Bridal and it was the perfect gown for her. As you will see, it was a perfect mix of elegant and fun! A huge Thank You to Sydney with Keely Thorne Events for coming out to play with us this day!